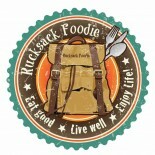 Rucksack Foodie | Eat good – Live well – Enjoy life ! Some of the best beds…. A Sign Of Inspiration…& Amazing Pork!! 2013: Highlights Of An Amazing Year ! Stoneing, Fox Hunting, & Hot Whisky Does a Holiday Make! More than just Guinness & Cabbage…. Absorbing Alsace…And Needing A Babel Fish! No Better Place To Be For St. Paddy’s Day! A Day At the Farm…Dinner Inspired!